The escalating battle over Temple University's proposed football stadium in North Philadelphia took another biting turn on Sunday morning. Members of the Philadelphia chapter of the NAACP, one of several groups aligned against the $130 million stadium plan, gathered in Rittenhouse Square to suggest Temple build its facility in the posh Center City neighborhood. "We cannot afford to have this stadium in North Philadelphia and so we're calling on the president of Temple University to consider right here in Rittenhouse Square," Minister Rodney Muhammad, president of the local chapter, said at a press conference attended by 6ABC. If the suggestion was meant to be sarcastic, Muhammad's words didn't make it immediately obvious. "The economic impact would be favorable for this area," Muhammad continued. "It's already a bustling business district. We don't see that a stadium would greatly alter the character of the neighborhood where we're standing right now." 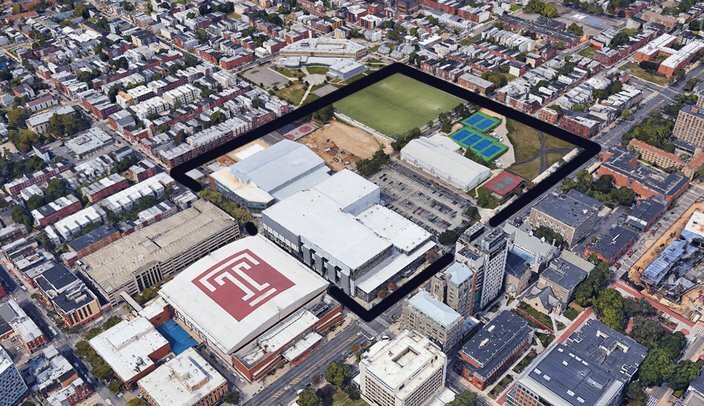 Since Temple already has a presence in Center City, he added, the university should take the Rittenhouse proposal under serious consideration. The Sunday press conference comes after Temple's charged public town hall meeting earlier this month was cut short by protesters from North Philadelphia. Local opposition to the project has been persistent since the university first launched its $1.25 million stadium feasibility study in 2016. 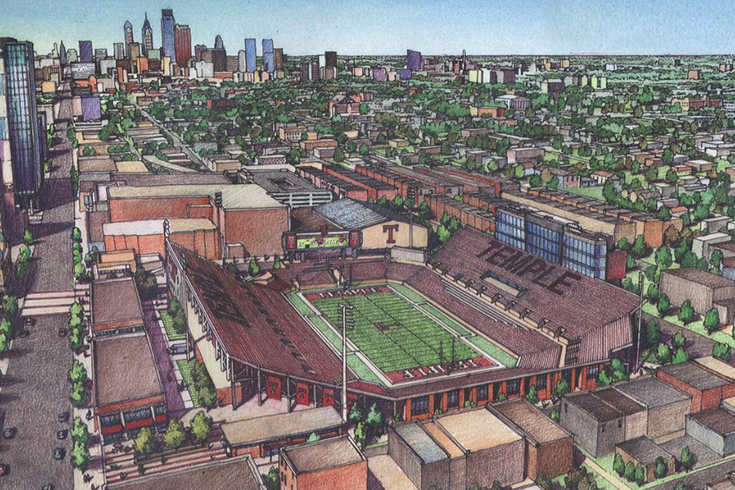 The current proposal, drawn up at a site bounded by Broad Street west to 16th Street and Norris Street south to Montgomery Avenue, envisions a 35,000-seat multipurpose facility that would enhance Temple's campus atmosphere and redirect funds that would otherwise be spent on hefty lease payments at Lincoln Financial Field. Neighbors who object to the stadium, driven by decades of tension over Temple's development projects in North Philadelphia, believe it will accelerate gentrification and create various nuisances tied to the construction and ongoing use of the facility. Council President Darrell Clarke, whose Fifth District covers several neighborhoods in North Philadelphia, also said last week he does not support the Temple stadium. Despite the heavy opposition, Temple said it still plans to submit its proposal to Philadelphia's City Planning Commission. The university has not yet announced a date and time for a rescheduled town hall meeting. Attempts to reach the NAACP's Philadelphia chapter were not immediately returned Sunday morning.